Having $1 million in retirement savings has long been considered a key to making your golden years truly golden. 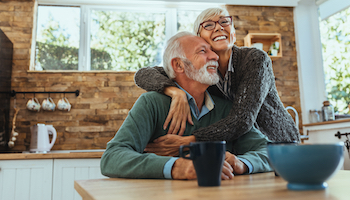 It won't enable a lifestyle of mansions and private jets, but it should keep you comfortable, especially when supplemented with Social Security benefits. If you follow the 4% rule, you would be able to withdraw at least $40,000 a year during retirement and have your nest egg last for 30 years. Great, you say, but who can really save a million dollars? You can. It takes some discipline and planning, but banking seven figures by the time you reach retirement is very possible, even on a middle-class income. Follow our 5 smart moves, and you'll have an easier road to reach that goal. Smart move 1. Start saving when you're young. The best way to live well when you're old is to save when you're young. If you can start saving $405 per month by age 25, an average annual return of 7% means you'll have $1 million by age 65. But wait until you're 30 to start saving, and you'll have to put away $585 per month to reach that goal. "There is tremendous power in starting early," says Bruce Hemler, founder of Wealth Enhancement Group in Chaska, Minnesota. "You'll earn even more through compounding (interest) than if you save more later." If saving several hundred dollars a month right now seems impossible, start by saving something. Set up an automatic withdrawal from your paycheck or bank account. Soon you won't miss the money, but you'll be on the right path. If you have a 401(k) account at work, your first step should be saving enough to take maximum advantage of matching contributions from your employer. Once you meet the match, start putting the excess in a Roth IRA. Our saving a million dollars calculator will show you how long it will take to reach your goal based on your monthly savings. RATE SEARCH: Shop for the best savings rates. How much wealth can you build? If you start saving at age 25, here's the nest egg you could amass by 65, assuming a 7% annual return, which is a reasonable expectation over a longer time frame. Smart move 2. Live below your means. There are only two ways you can save more money — earn more or spend less. It's usually much easier to do the latter. In the classic book The Millionaire Next Door, authors Thomas Stanley and William Danco write that people with a net worth of more than $1 million typically get there by living on less than what they earn. These millionaires are more likely to be living in modest homes with 10-year-old vehicles parked in the driveway. They establish a comfortable standard of living, then maintain that throughout their career. They are more likely to save raises, bonuses and windfalls than spend them. Whether you earn $50,000 or $150,000 per year, you'll have little to show for it if you spend as much as you earn. Trim your expenses, bank your raises, save at least 10% of your income, and you'll see your savings growing quickly. Smart move 3. Invest in stocks. Even if you're setting aside 10% or more of your income for retirement, you'll never reach $1 million by stashing it in a savings account or certificates of deposit. History indicates stocks are the best investment to build the long-term wealth you need. The Standard & Poor's 500, an index that tracks 500 large stocks, has averaged 9.62% annually in gains over the last 25 years. Going back further, it's around 10%, and 7% when adjusted for inflation. That's the kind of long-term savings growth you need to build a healthy retirement nest egg. By the time you reach a million bucks, you should have contributed about half of it. The other half will have come from capital gains, dividends or other returns. "You invest in the stock market to grow your money and protect it from inflation," says Nicholas Yrizarry of Nicholas Yrizarry Wealth Management Group in Laguna Beach, California. "If you don't at least keep up with inflation, you'll lose about half your money every 18 years." 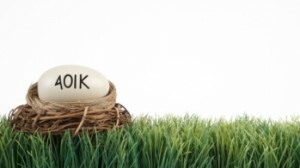 Start by taking advantage of your 401(k) retirement plan at work. For most of us, investing in a target-date fund is probably the smartest course. Target-date funds are mutual funds that invest in a mix of stocks and bonds that is adjusted as you age, maximizing your chance for returns when young and reducing your risk of losses as you near retirement. Then simply pick a fund with a target date that matches your retirement age. If you're 35 and want to retire at 65, go with a 2045 fund. You'll be investing wisely with little worry. 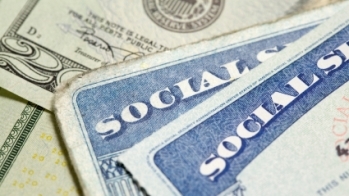 Is it smart to sign up for a check as soon as you turn 62, the youngest possible age? Or should you wait a few years, when you'll qualify for a bigger monthly payment? Here's how to decide what's right for you. Smart move 4. Manage your debt. If you're paying a $5,000 credit card balance at 22% APR, you're throwing away more than $1,000 in interest every year. You should pay down that debt as quickly as possible, even if you have to stop saving for a year. No investment is going to net you a guaranteed 22% return. You'll also want to carefully consider taking on any debt as you go forward — especially credit card debt. "Most people treat credit cards irresponsibly. If you don't have cash in your checking account to cover the charges, don't spend the money," says Dan Neiman, partner and portfolio manager with Neiman Funds, based in Williamsville, New York. You should also try to keep down the cost of buying cars. If you need to finance a vehicle, use the 20/4/10 rule. It says to put down at least 20% on a vehicle, finance for no more than four years and not let your total costs, including insurance, exceed 10% of your income. Smart move 5. Maintain a lifelong commitment. Saving is something you should do for the rest of your life. Everyone goes through some hard times. You may get laid off or have a medical emergency. "There are going to be times when you can't save anything. Maybe you even have to spend your savings," Wealth Enhancement Group's Hemler says. "But you need to get back on that horse and start saving." Yes, $1 million is a goal, but all is not lost if you fall short. Even socking away just half that amount will still give you a decent income to supplement Social Security benefits in retirement. A $500,000 portfolio should still be able to provide you with $20,000 per year. Make a plan for a million, and even if something goes wrong, you'll still have more saved for retirement than if you'd set your sights lower at the beginning. RATE SEARCH: Compare savings rates.